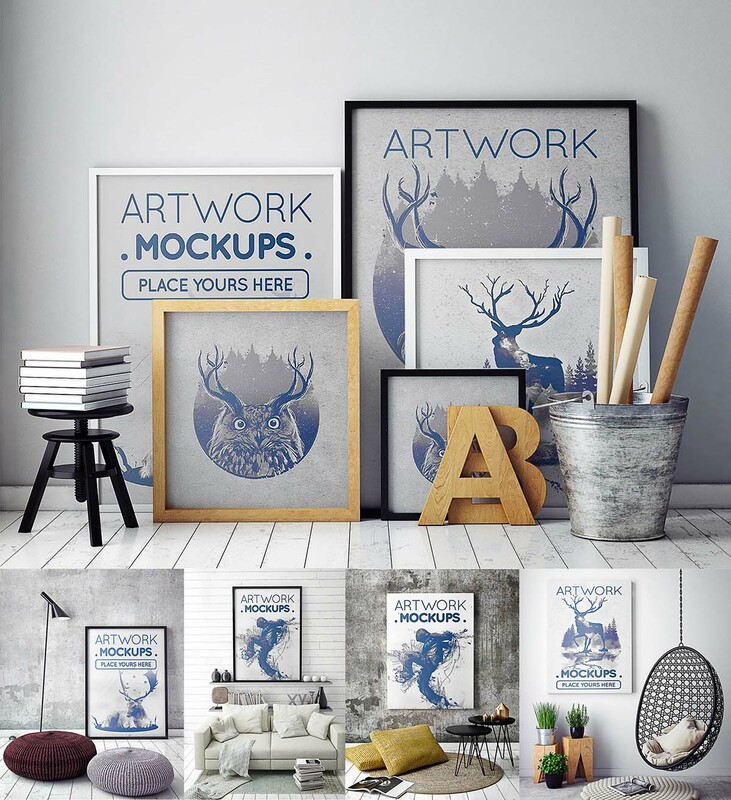 If you need a real presentation to put the spark on your Art-Works or Posters or Banners design with this huge pack of desktop mockups. This item is able to answer it, with professional photos and photorealistic editing, you will get the best presentation with a clean display, allowing you to do more details to your design. It’s very easy to use, based on photoshop using smart object, only took a few seconds for your design like realistic. In this pack you will get 13 mockups. Tags: art, artwork, branding, interior, mock-up, photorealistic, wall.